Draws up a yearning ripe scent. 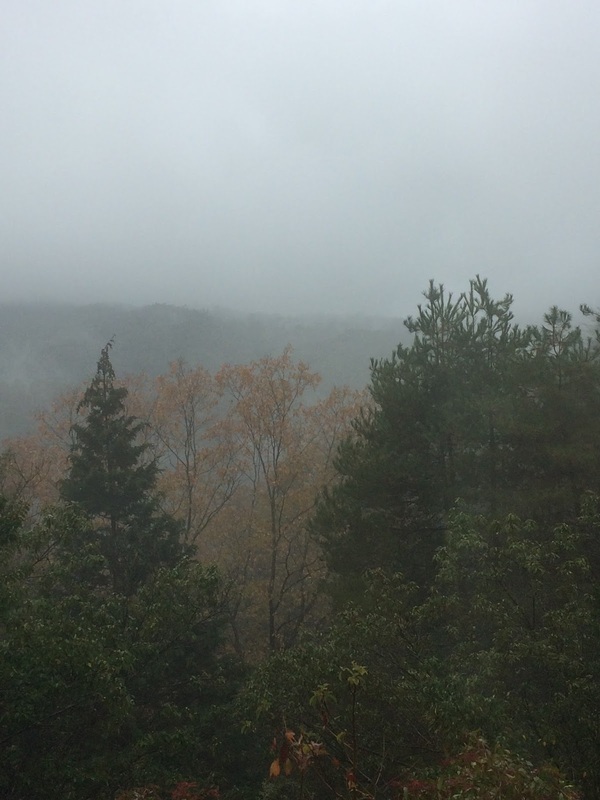 Ah, water a‘top the hill too! This green cleft in the rain. Of the valley as the world in itself. On the 23rd of February 2018 I was very kindly conferred with the Order of the Rising Sun with Golden Rays and Rosette by the Japanese ambassador Mr Koji Tsuruoka. 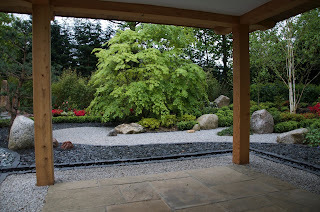 The award was in recognition of the contribution made to the promotion of the Japanese garden culture in the UK. I think it is fair to say that this occasion is an extra-ordinary day in my life. But then, in so many ways the whole journey that began with my first visit to Japan in 1980 has been far from ordinary. I well remember when I was at horticultural college in the early 1970’s coming across a book in the library that had a number of pictures of gardens from Japan. Although at the time, in my early twenties, I already had an interest in the Far East through Buddhism and poetry, I knew nothing at all about the ancient garden culture of Japan. 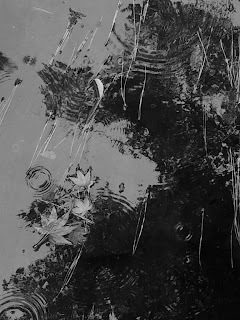 The grainy black and white pictures piqued my interest. There was something about their apparent simplicity that challenged my notion of what a garden was, and what a garden could be. 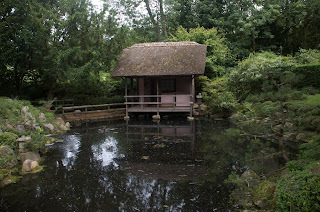 A little while later I visited the Japanese garden at Tatton Park in Cheshire and what stayed with me was the sense of repose and quietude of that garden. It was only much later that the opportunity to go to Japan arose. I imagined that I would stay a while and use the time to visit some gardens, then resume my career as a gardener, who secretly desired to be a poet, in England. I think the first garden I saw in Japan was at Ryoan-ji temple. 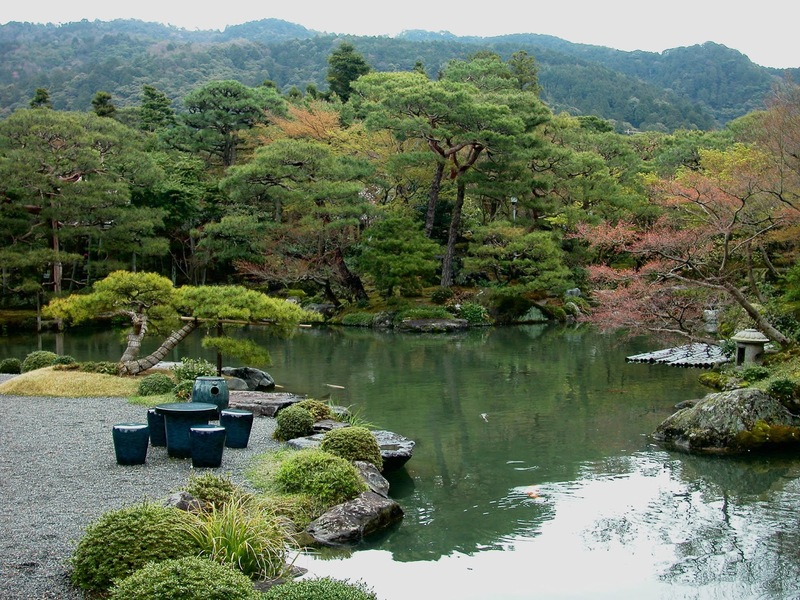 Outside of Japan, it is possibly the most familiar of the great Kyoto gardens. What was so bewitching was the atmosphere of the space, even more beguiling than the sparse components of the garden itself. It seemed to possess a certain kind of magic made manifest. 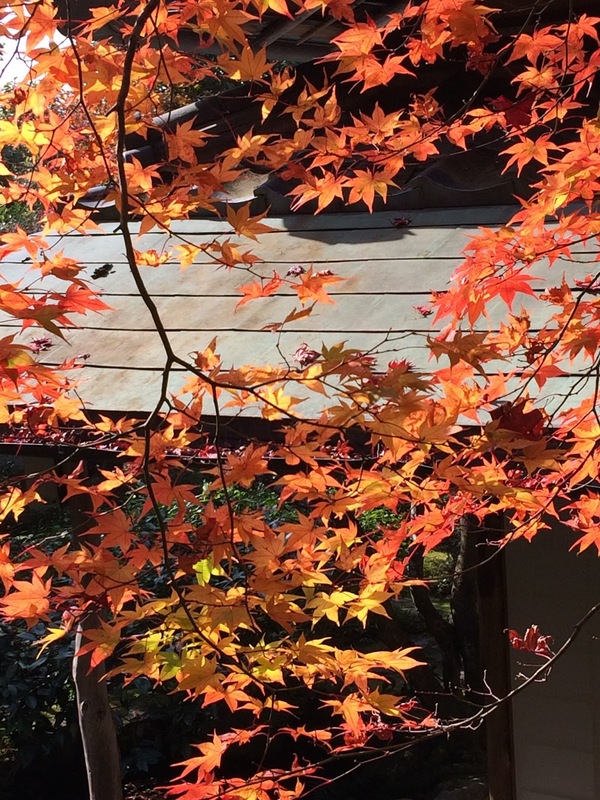 For many years now I have been fortunate to return to Kyoto and Japan. 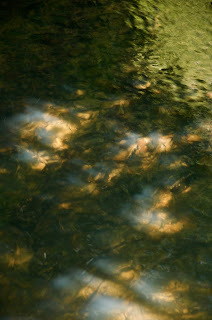 I have revisited Ryoan-ji on many occasions, and still it holds a palpable sense of the magical and the transcendental. Its absolute modesty is also somehow its soaring ambition. 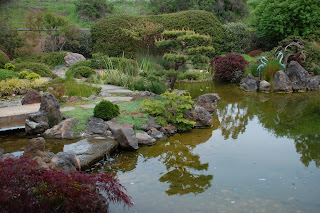 For me the Japanese garden is a confluence of art and spirituality. It is not a passive creation, but one deeply imbued with a vitality of life and time. 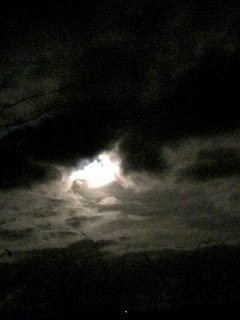 It has the capacity to speak to us in a profound way; also to communicate much of what it is to be human, and so to understand better our place in this world. Kobayashi san, my teacher was pivotal to being able to engage in a deeper practical education of Japanese gardens. I still think of myself as being an ‘accidental apprentice’. The first months of my apprenticeship were not by any measure the easiest of my life. 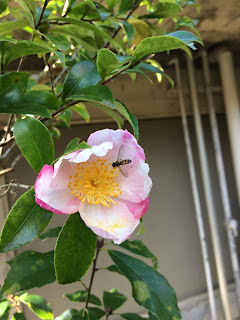 I knew hardly any Japanese and also my introduction to garden making in Japan was working on the very Western rose garden at the Kyoto Botanical Garden. Frustrated, rather than magical would be how I would describe those initial months as an apprentice. But what I came to understand was that the relationship between teacher and student is entirely different to what I had been accustomed to. 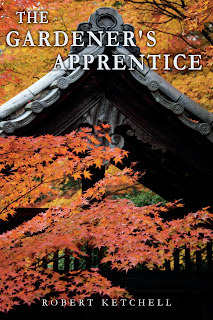 In Japan the apprentice is required to prove to the teacher that you are worthy of being taught, and secondly that essentially the student ‘steals’ the knowledge from the master. 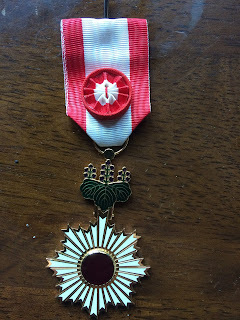 I owe Kobayashi Sensei a huge debt of gratitude for his persistence and forbearance, for whom I am sure I was a very wayward student, albeit a wholly determined one. Sensei taught me that you learn through your hands, and when you do it enters the heart, so then the knowledge gained is never lost but it becomes part of the fabric of one’s being. 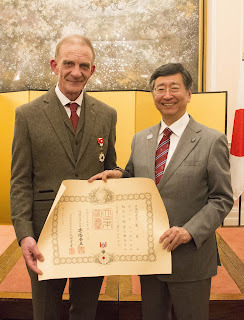 I have also great gratitude to other figures such as Professor Makoto Nakamura who invited me to become a research student at Kyoto University, which enabled me to have access to the landscape department and its library, as well as his own great fund of knowledge. Also more recently to people like the contemporary garden creator Yasuo Kitayama san with whom I spent many hours being entranced by detailed explanations of his own philosophy concerning garden making. 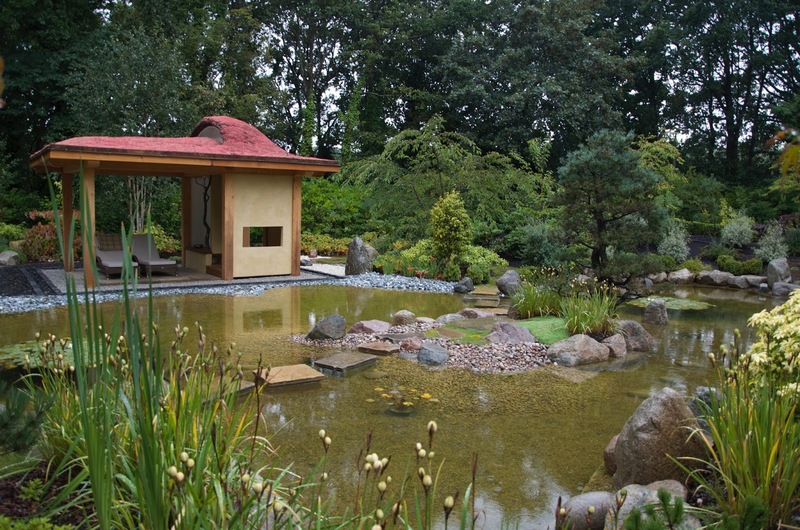 The formation of the Japanese Garden Society (http://www.jgs.org.uk) in 1993 was an important milestone. I have been fortunate to have had an association with the JGS from the beginning, and seen its development over the past 25 years. 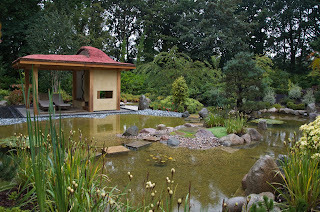 Central to the founding aims of the JGS has been to disseminate knowledge of Japanese gardens in the UK. To learn, to see and to share. It has grown into a dynamic group of over 700 members and has become become an important force in the promotion of the Japanese garden culture in the UK. Any community is only as strong as its constituent parts, and the JGS with its six regional groups is an entirely volunteer organisation, which has achieved much wonderful work. 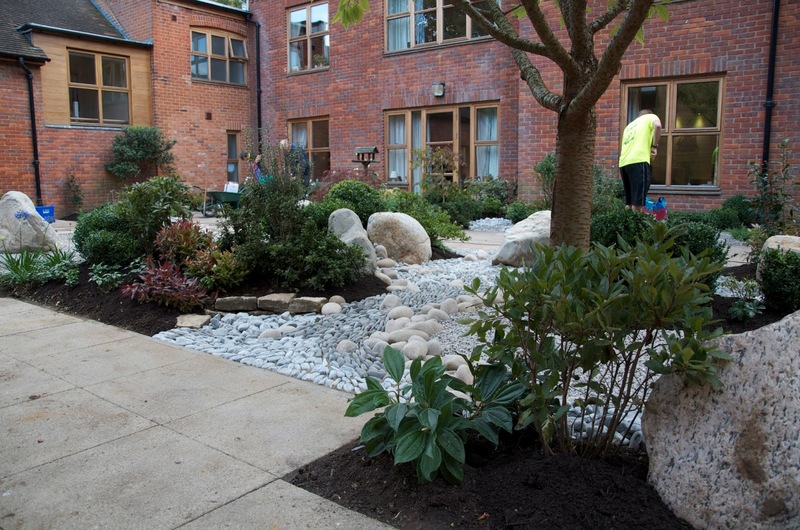 Including creating gardens at hospices, hospitals and resting homes, where these tranquil garden spaces can bring solace to patients, carers and staff, as well as gardens in places open for all to enjoy and benefit from. The commitment and enthusiasm of the members is inspiring indeed. One project in particular, being part of the team that created a garden at Norwich cathedral (the building was completed in 1180), has been a particular highlight. 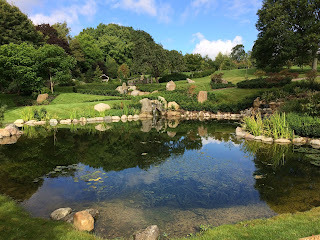 To bring something of Japanese culture to a place so steeped in English history was very special, and showed how well a Japanese garden can reach across what we may expect to be a cultural divide. I am currently serving a second term as Chairman of the JGS and am greatly excited by the developing maturity and continuing potential of the JGS as we pursue our aims as a recognised charitable organisation. Other projects the JGS has created include the renovation of Danecourt Cemetery garden, Willowbrook Hospice, Bury Hospice, Hatchmill Nursing Home, also several gardens open to the public. I have come to understand that if we wish a garden to exude a quality of harmony and integration, then this needs to also arise from the heart of the garden creator. In this way the cyclical process of learning to create these gardens in turn leads one on a path to develop those same qualities within oneself. I am not sure how many gardens I have created over the past 35 years or so, probably about 200. Most have been for private clients, many of whom have become dear friends, as well as several gardens in the public domain. I have worked mainly in the UK, but also in Europe and the US of A.
I have tried over the years to find ways of honouring the knowledge I have been granted, in garden cultures outside of Japan. 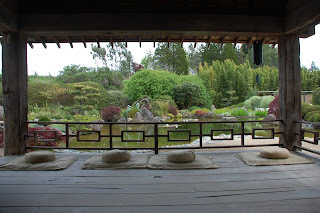 My enduring belief is that what we are able to learn of the Japanese garden tradition is of importance beyond Japan. Gardens or paradezea (from which we derive the English word ‘paradise’) were first created millennia ago in the grounds of the temples of Mesopotamia. These were sacred transitory spaces that prepared one to enter the temple, and were not simply aesthetic enhancements. The garden has a function to connect us deeply to our original home, that is, the landscape we are surrounded by. Now in our time, I believe the need of gardens is ever more potent, and by observing and learning from the Japanese garden tradition we can create gardens that are important, if not vital, to our sense of wellbeing as an essentially urban dwelling society. It is a journey that is only really beginning, and there is so much more we can learn from the great masters of Japan who have left a legacy of work for us to experience. Japan initially absorbed the inspiration of creating gardens from China, developed and enhanced that knowledge into what we call the Japanese tradition, and now we in the West are able to learn ourselves from this great living tradition and draw it closer to our hearts. It is an extraordinary gift that changes lives. I know this as it has changed my life in the best way possible. To my original Sensei, Tsutomu Kobayashi, who I am sure will be looking down from somewhere in the heavens with a grin of amusement at this occasion. To my great friend and colleague in the JGS, Graham Hardman. It was Graham, himself a rightful recipient of this same award last year, who proposed me to be a recipient today. Graham has been and remains a constant and truly inspirational figure in his own right. Also to the innumerable people of Kyoto and across Japan, who have shown great kindness in guiding me to, and sharing their passion for this wonderful tradition of garden making. I can safely say that my life has been shaped by those gardens, and for that I am immensely grateful. It has always been my belief that the knowledge I have received was not a personal gift, but it has been my role to be a small conduit to pass this knowledge onward and so to hopefully inspire others. Dense woodlands of words made good. The steep track with its dragging gravity. One heartbeat following the next. Never knowing who leads whom. So where does this path go? The Japanese garden tradition is one of the oldest continuous garden traditions in the world. The creation of gardens dates back to the time of the earliest official contacts between Japan and its continental neighbour China in the 7th century. At this time in China landscape gardening was already highly developed and being practised on a very sophisticated and extensive scale. 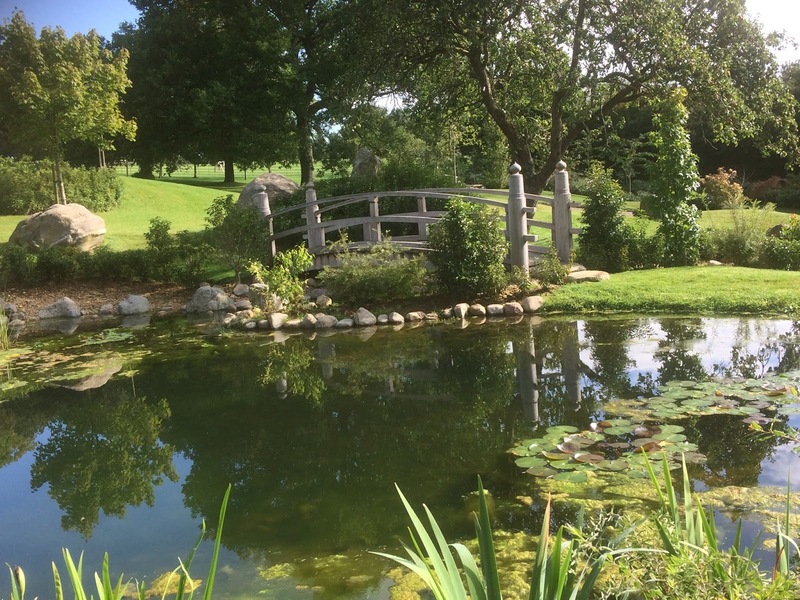 Landscape gardens were created following the Paradise model, that is, gardens were created as an evocation of an idealized state of being. Hence from the very beginning of the tradition gardens were created for purposes that reach beyond the simply ornamental. 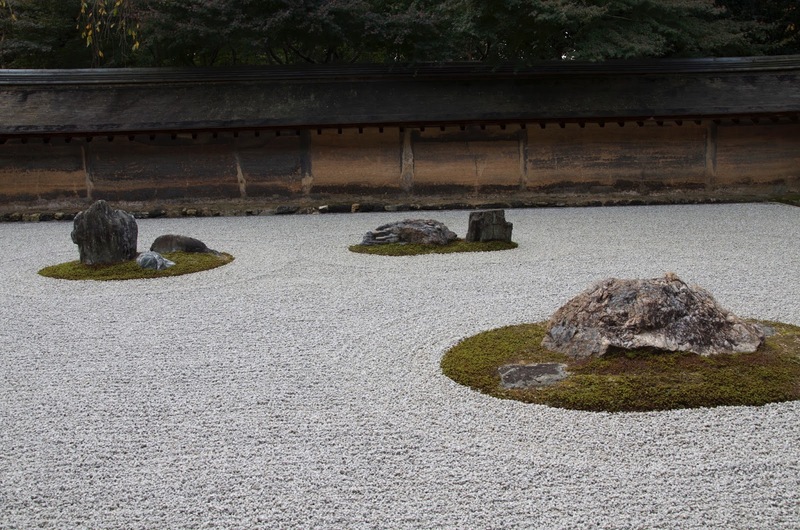 The concept of gardens containing a spiritual element has been embedded in Japan from the outset. 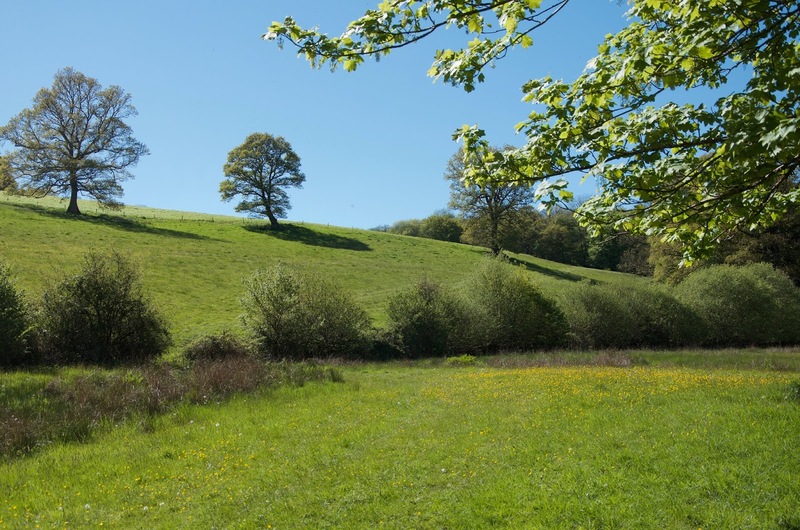 Nature and a vision of man in relationship with the natural landscape was, and remains, the foundational model for the concept of gardens in the East. 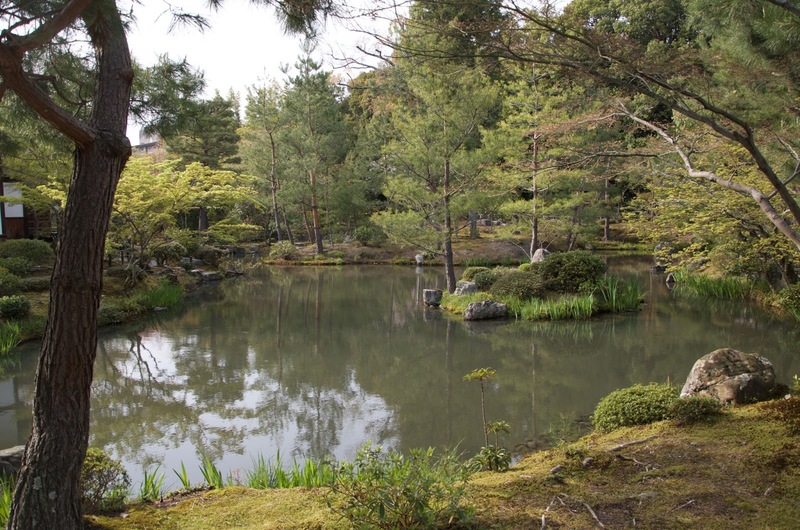 The first gardens created in Japan featured a pond with a small island. The original term for a garden was shima, which means ‘island’. Gardens would have primarily had a ritual function, and been a place where rituals were carried out. Part of the original impetus to create gardens was to fashion a space as a suitable abode for the deities on earth; in the anticipation that it would encourage the gods to reside on earth in close proximity to human society. This concept was an extension of Shintoist belief that the deities abide in the landscape, and it was in specific places in the landscape (mountains, spring sources, caves, old trees and rocks, etc) that humans could commune with the deities. Across East Asia landscape was seen and appreciated as a model of spiritual liberation, religious and political authority, and moral purity, particularly when contrasted with the complexity of human life in urban centres. The Heian period (784 - 1185), which began with the founding of a new capital, Kyoto, heralded a period of a great flowering of the arts and culture in Japan. Cultural pursuits were the preserve of a minority, though critically important section of the society, essentially the aristocracy. Though this could have only happened if there was a wider assimilation of skilled crafts people capable of developing unique skills. 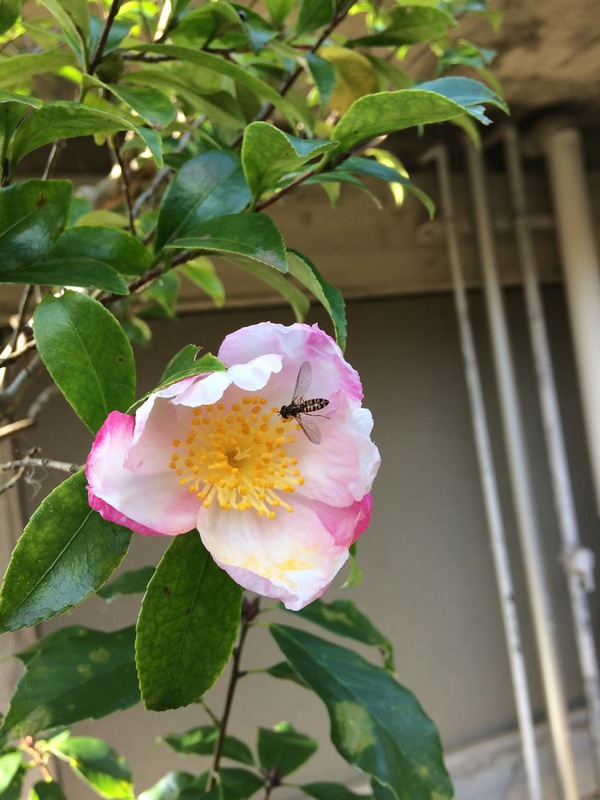 In particular, the garden tradition was to rise to prominence during the Heian period, and a distinctly Japanese identity to gardens begins to emerge. One of the characteristics of the period is the emergence of a particularly Japanese style of architecture, shindenzukuri. The shinden, or Main Hall, sat at the centre of the architectural complex, with roofed corridors extending out to the east and west sides, these in turn leading to pavilions. The area immediately to the south of the Main Hall was usually a flat graveled courtyard (which was used on ceremonial occasions, in which two trees considered sacred were planted - a mandarin orange and cherry). 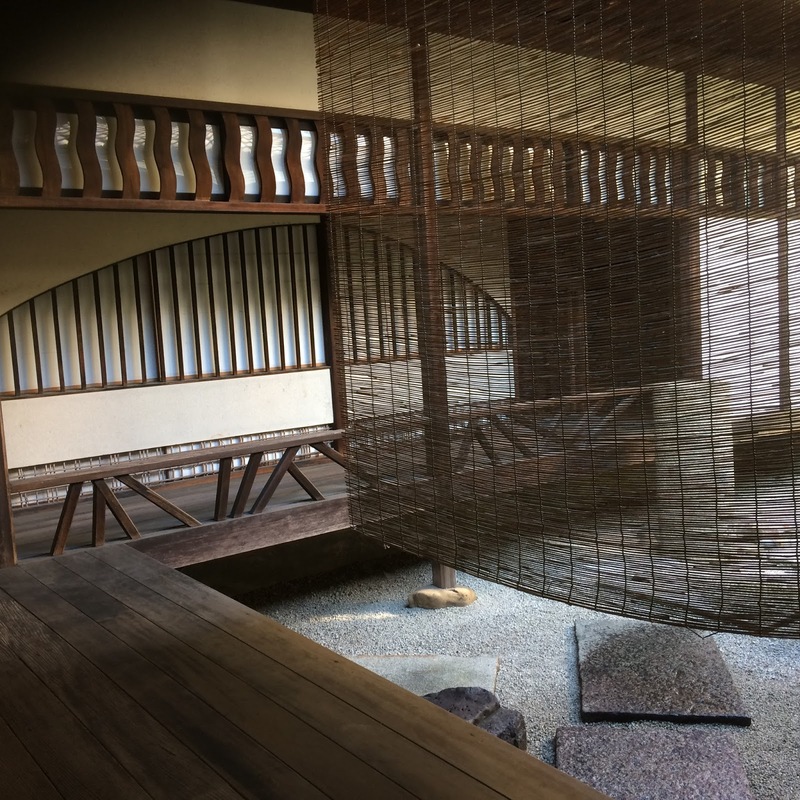 It was characteristic of shinden architecture that the interior spaces were capable of being opened almost entirely to allow views of the exterior, hence the garden setting was emphasised by the sparsely furnished and dimly lit interiors. The richly detailed arrangement of the garden was centred about a large pond, which was also used for boating, as well as strolling, and situated in the pond would have been an island. The garden was created to suggest a variety of different landscape settings; mountain landscapes, seascapes, riverine landscapes, marshes, and so on. A variety of planting material was used specific to the type of landscapes being recreated in the garden. 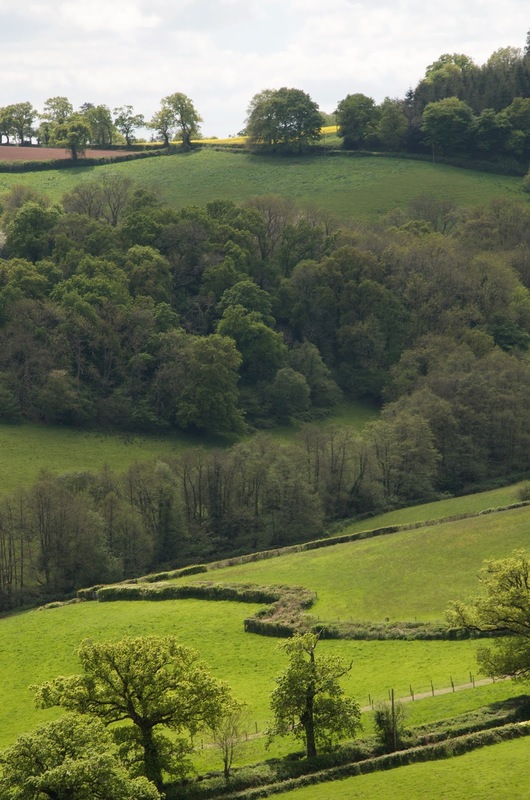 Plants including trees would have been collected in the wild and brought to the capital. 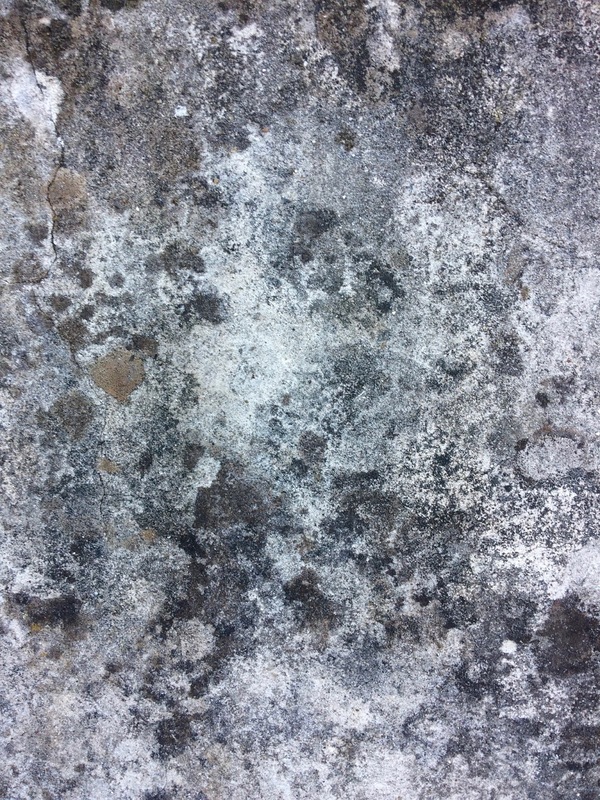 The idea was that by touring around the garden the viewer could experience a variety of different landscapes. It was usual to create sections of gardens that recalled or referred to renown landscapes both in Japan as well as in China. Many of which would have been known of through poetry. The aristocracy travelled rarely beyond Kyoto itself, so these features in gardens became popular. The practice also indicates how important the imagination of the viewer was in interpreting, understanding and appreciating garden scenery. 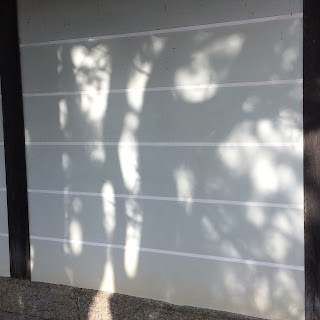 Poetry was important in the lives of the Heian elite, particularly classical Chinese poetry that was rich in references to nature, it underlines the acute awareness of connectivity with the natural world to the lives of people of the era. Gardens were an extension of this ontology, and in many ways could be said to be the stage on which the lives of people of the time unfolded. 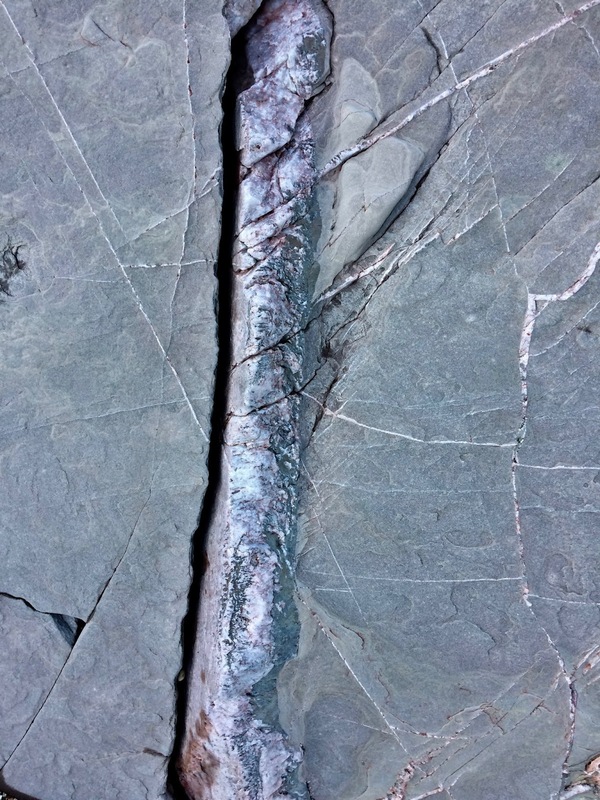 A section of the text is taken up with taboos, principally associated with the placement of stones in the garden, and it observes that even if one taboo is violated it may cause grievous harm. 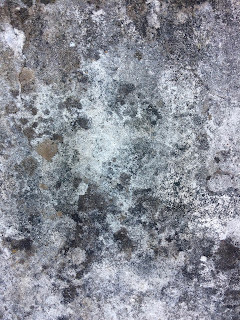 The Sakuteiki notes, “”Do not set a stone that is higher than the verandah in the immediate vicinity of the house. If this rule is not obeyed, troubles will follow one after the other, and the master of the household will not live for long. However, temples and shrines are exempt from this rule.” Great emphasis has always been associated with the setting of stones in the garden, and it is regarded as the benchmark of the skill of a garden creator in Japan to this day. The end of the Heian period was marked by the decline in influence of the aristocracy, and the rise of the military class (samurai) as the predominant social class. 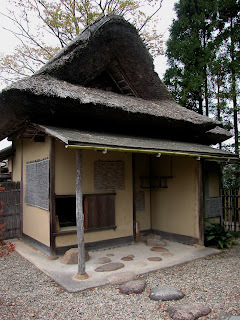 The samurai sought to maintain and imitate the garden and architectural styles of the nobility. In the gardens of the 12th through 15th centuries gardens such as Tenryu-ji, Saiho-ji, Toji-in, Ginkaku-ji and Kinkaku-ji were created which retain elements of Heian styles while at the same time strived towards new ideas and means of expression. During this time span a more fully realised Japanese style emerged, one that leaves behind overt Chinese influences to become more firmly rooted in the geographical and aesthetic sensibilities of Japanese culture. The influence of China on Japanese culture in general has been profound over the centuries, and many of the earliest gardens were probably made either by Chinese or Korean craftsmen. 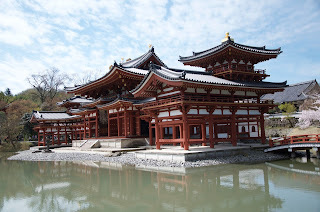 Also there were a number of Japanese monks who travelled to China to study, and they would have returned not only with new ideas, religious texts and other artifacts, but would have experienced gardens in the grounds temples too. The Muromachi period (1393 to 1568) which followed the Kamakura period (1185-1393) was a time of great upheaval politically in Japan, and yet is also seen as being something of a golden age in cultural terms. Certainly with the creation of gardens such as Kinkaku-ji (1397), Ginkaku-ji (1489), Daisen-in (early 16th C) and Ryoan-ji (late 16th C), the art of gardens reaches something of a creative peak. 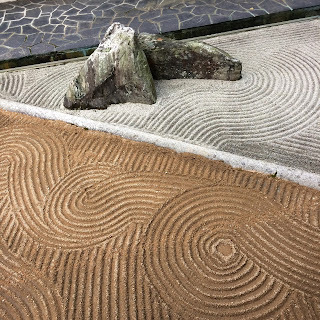 Zen Buddhism was introduced into Japan in the 12th C by Myōan Eisai has had a profound influence on all aspects of Japanese culture; the popular image of a Japanese garden with its raked gravel is derived from a style of garden developed in Zen temples. 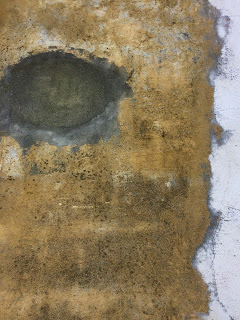 The concept of landscape was very important to Zen monks, and hence one’s relationship to the landscape itself. 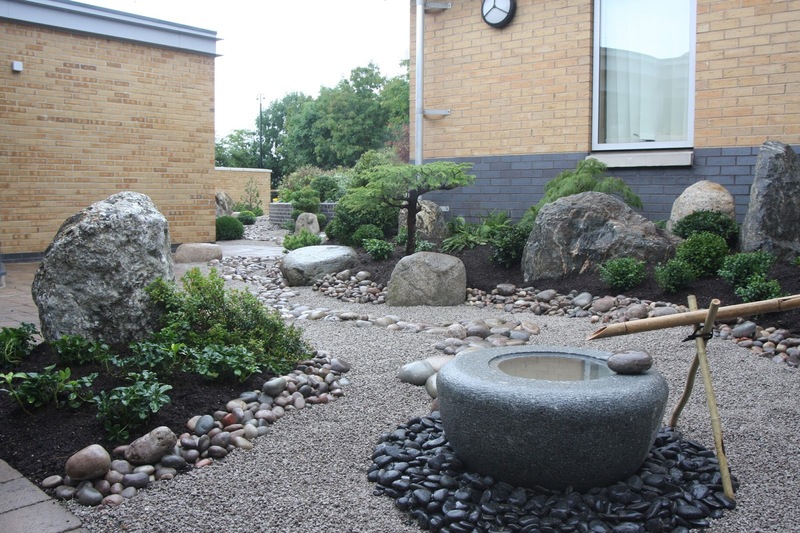 Gardens were a means by which that relationship could be brought into awareness of people living in urban areas, which the majority of monks were doing. Zen practice emphasizes a particular awareness of mind, and in order to do this they followed the Chinese ideal of the recluse, someone who deliberately secludes himself deep in the mountains so as not to be distracted by secular living and society. In creating gardens representing landscapes the Zen monks sought to refine the expression of landscape in a simplified form. Hence we find gardens that are pared to a minimum of materials, rock (mountains) and raked gravel (water). The word for landscape on Japanese is sansui, which is made up of the two characters, san, mountain (山) and sui, water (水). 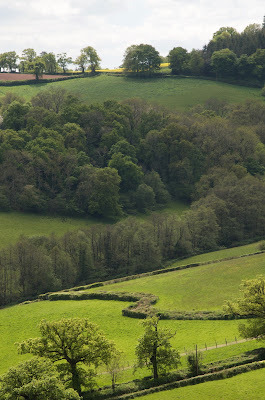 Paring the expression of landscape/garden to its most basic elements draws the viewer and garden into a close embrace, the ‘garden arises’ in the mind of the person contemplating the garden. The samurai were attracted to Zen Buddhism for its directness of expression and emphasis on action, and they encouraged the spread and establishment of Zen temples. Here a new type of garden gained popularity, the ‘dry landscape’ or karesansui garden (枯れ山水庭), and some monks achieved great renown for their skill in garden creation. Zen temples are composed of two parts, the south-facing element is the ‘public’ section with the hōjō (main hall) and reception rooms, and the north side of the temple is the ‘private’ section, where monks live and study. On the south side of the hōjō was a courtyard, usually enclosed by a tile-topped wall, the ground level spread with sand or gravel, which was used as a ceremonial space, known as the yuniwa. 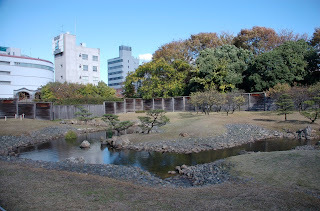 It was in this space that the karesansui gardens so characteristic of Zen temples were developed and may be seen today. The gardens were not created specifically for the purpose of meditation, rather they were gardens which were intended to reinforce the quality of sacred space associated with the temple. The 16th century onward saw the emergence of a new style of garden, the Tea garden or Cha niwa. The samurai classes were an avid proponent of tea ceremony, and with their support tea culture was able to permeate deeply into the wider society. Not only were artisans needed to create implements for the drinking of tea (pottery, metalware, bamboo wares etc.) but also to build the simple, yet highly refined tea-houses, and create the gardens. Tea culture was also linked with a reassessment of aesthetics and this was to have an important bearing on the creation of gardens too. Cha no yu (tea ceremony) in the hands of masters such as Murata Shukō (1423-1502), Takeno Jōō (1502 - 1555) and Sen no Rikyū (1521-1591) underwent a profound re-examination and development of particularly Japanese aesthetic values. 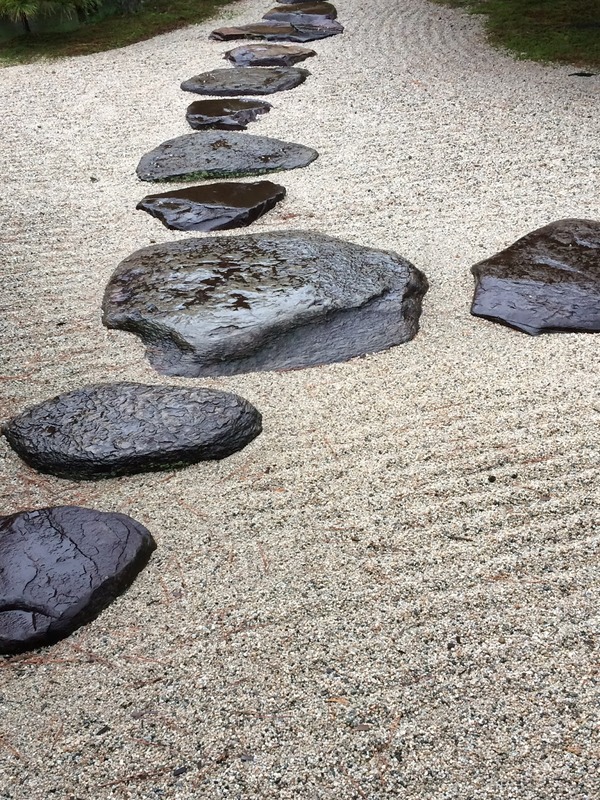 Essentially the Tea garden was a path (roji 路地) that led to the teahouse, and became a means by which the participants could prepare themselves for the ceremony. The garden deliberately down plays extravagance, rocks are small (if used at all), and the planting is predominately evergreen. Particular emphasis is placed on the layout of the path itself, as a means of influencing the manner in which the viewer is conveyed through the space. Such features as stepping-stones, stone water basins and lanterns, which are now widely accepted as part of the fabric of a Japanese garden were first used and developed in the context of the Tea garden. In 1603, Tokugawa Ieyasu rose to take supreme control of Japan. 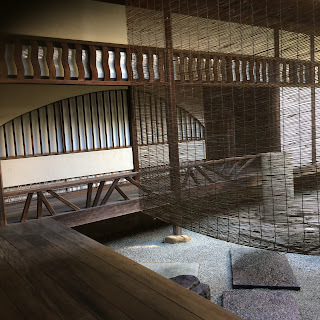 In order to assert and consolidate his authority, he decreed the main administrative capital to be moved away from the strife-torn Kyoto to the small fishing village of Edo, where the Tokugawa family seat was. The feudal lords were required to spend part of the year at Edo where their activities could be monitored. In building their new homes, new gardens were to spring up. For garden makers the environs of Edo held few advantages compared to the area about Kyoto, with its sheltering mountains and plentiful supply of freshwater. The land near the town (Edo), where the new estates developed was generally flat with little fresh water and few natural stones available for rock arrangements. Despite these drawbacks gardens were constructed. One of the earliest and grandest was Korakuen, the construction of which was begun in 1629, on the behalf of Tokugawa Yorifusa, and was further developed and maintained by his son Mitsukuni. Eventually the garden was to cover over sixty acres. A notable feature of Korakuen was its depiction of notable scenic views from both Japan and China, parallels may be drawn with Katsura Rikyu in this regard which was constructed around the same period , and features extensive use of the interpretation of famous scenic views. Though Japan was closed to the outside world during this period, there was an influx of Chinese, including a number of scholars fleeing the downfall of the Ming government. The particular influence of Chinese and Confucian ideas at Korakuen, has been attributed to Chi Shun-shui , who was patronised by Mitsukuni. Korakuen survives today, albeit on a much reduced scale as a public park, it still retains traces of its former grandeur. The lack of supplies of freshwater for gardens in Edo lead to innovative solutions, one source of water that was exploited was the tidal flow of water from the bay. Water was drawn into the gardens at high tide and the held in the garden lakes by elaborate system of water-gates. One garden where this was practised was at Hama Rikyu (the Beach Palace), originally created for Matsudaira Tsunashige, a relative of the Tokugawa family. The garden covered some ninety-six acres, the main lake being over six acres in extent, it was created beside the river, with a canal surrounding the remaining three sides. It too survives in part into the modern day as a public park. One other garden of note from this period, also called Korakuen is to be found in Okayama Prefecture, some four hundred miles south of Edo (Tokyo) . Begun in 1687 by the feudal lord of Okayama, Ikeda Tsunamasa, as a stroll garden, it was further enlarged and developed by his descendants. The garden of is of an open character and featured lakes, stream courses and hills, another interesting feature of the garden was the creation of rice fields and miniature farms as part of the garden scenery. The garden held many pavilions and tea houses, the use of stonework was sparse reflecting the prevailing style of the time. Again, the garden remains to the present day as a public park, though the use of lawn areas is more extensive than in its heyday. Of the gardens built on a smaller scale, there is a prevailing interest in the use of the karesansui style, and also with the use of clipped shrubs as formal elements within the garden composition. Commonly seen today as part of garden design, it was in the Edo period that the use of rounded, and flat-topped plant forms became particularly popular and widely used. During the Edo period one sees the development of a class of professional landscape gardeners. For an art form that had for centuries occupied the attention of artists, scholars, aesthetes and priests, there came to augment them professional gardeners and nurserymen, keen to supply the demands of a developing middle class. Garden building was becoming popularised also through the publication of garden manuals, such as Tsukiyama Teizoden. Within a society that was rigidly controlled, and lacked free access to contact with the world outside its shores, inevitably the garden tradition begins to show a concern more with creating gardens to set formulae and patterns. 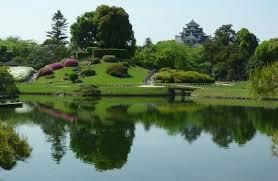 The Imperial gardens of Katsura Detached Palace to the west of Kyoto, and Shugakuin Rikyu (to the north east of Kyoto are outstanding examples of gardens of the Edo period. 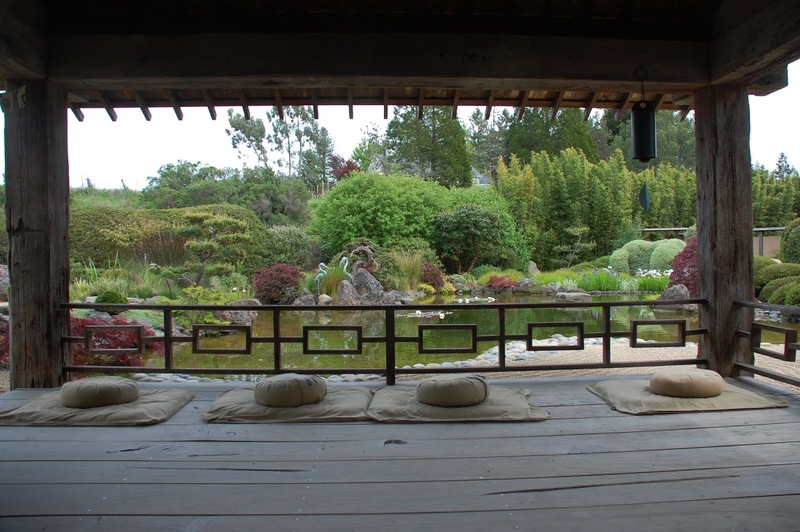 Though relatively large in scale, the gardens incorporated influences from Tea gardens. Katsura was created in the early 17th century is a masterpiece of architecture and garden making and in many ways it has come to encapsulate our contemporary notion of 'Japanese style'. There are many landscape and poetic references woven into the composition of the garden, which in some way gives the garden a feeling of nostalgia. As if the creators of the garden were looking back toward the Heian period with a certain feeling of wistfulness. Not surprisingly as Prince Hachijō Toshihito (1579–1629) who began the development of the site and his son Toshitada (1619- 1662) who was responsible for bringing the architecture and gardens to fruition, would have been aware of the connections of the Katsura area with the Heian period, a time when nobles had villas in the area. Both the Katsura and Shugaku-in gardens are intended to be viewed by walking around them, and the Katsura garden in particular features several buildings that could be used in connection with the tea ceremony. In the Edo period (1603- 1867) various pruning techniques became popular. Clipped hedges began to appear in gardens, sometimes making dominant features. 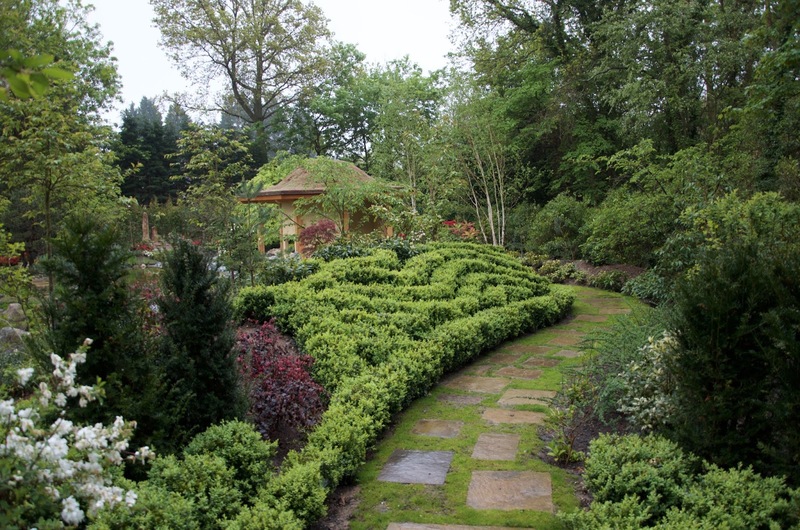 Azaleas and other shrubs would be planted en masse and clipped into controlled shapes. The relative proportion of plant forms is important to maintain, as the garden composition is seen as a whole. Hence the importance of pruning skills as part of regular garden maintenance begins to emerge throughout the Edo period. 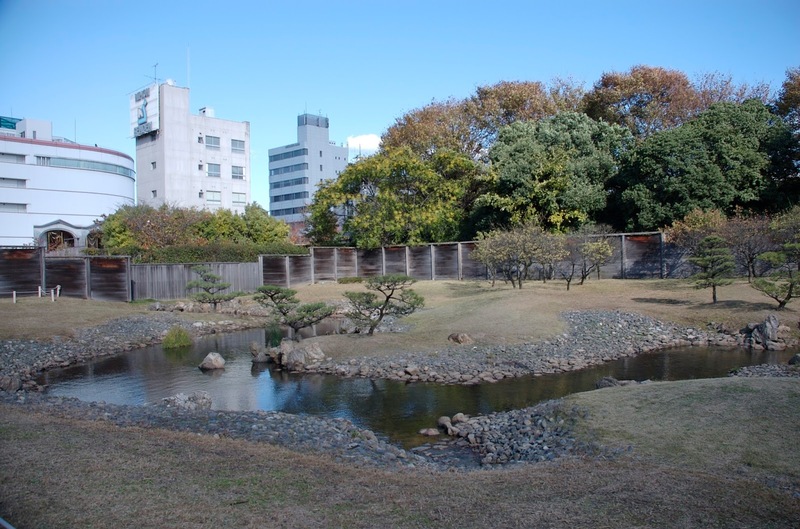 Garden creators such as Kobori Enshu (1579 - 1647) created innovative gardens by this means. 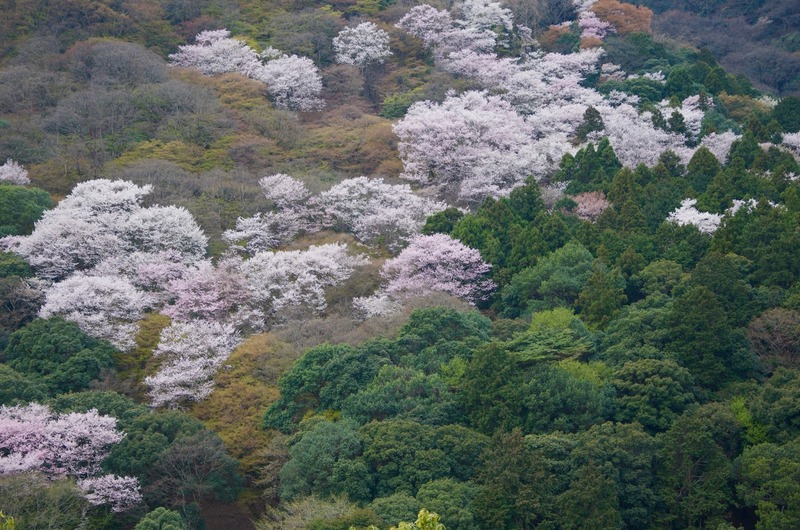 Evergreen plantings formed the bulk of plant species used in garden compositions, and the larger daimyo (feudal lord) gardens made use of zonal planting, to emphasis the seasons. Hence areas were planted with plum and cherry trees, and even small paddy fields with rice and medicinal herb gardens could be found. In the later Edo period, with the rise of a wealthy mercantile class, private gardens began to develop. Many of these were initially of a modest size, as to be a merchant was viewed as a low status in the samurai dominated society. Isui-en in Nara, originally featured two 17th century gardens attached to two residences, created by Kiosumi Michikyo a wealthy tanner. 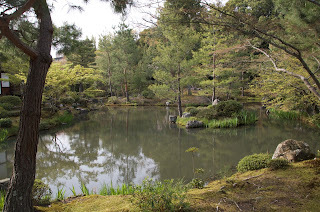 The two gardens were merged in 1939 by Seki Tojiro, a Nara businessman. Private gardens followed the patterns which were now well established where larger gardens were a blend of stroll gardens with an influence of tea garden elements. In residential houses the garden spaces were often small open spaces within the architectural elements. Most Japanese houses have a relatively narrow frontage, with open spaces retained to allow light and air to circulate in the rooms, an important consideration in densely developed urban areas. In these areas known as tsubo niwa, 坪庭 (tsubo being a unit of measurement, 3.95 sq yd, 3.31 sq. m), a creative variety of gardens were created, often featuring water basins, lanterns and planting. By the late 19th century the feudal system collapsed after Japan was forced to open its doors to the West. During the Meiji era (1868-1912) many things western became in vogue in Japan, lawns for example began to appear as a designed element of gardens, and more plant species from outside Japan were introduced. Though on the whole the art of gardens retained a conservative attitude towards innovation and change. In 1893 Josiah Conder (1852 –1920), an English architect working in Japan published "Landscape Gardening in Japan", the first book on Japanese gardens published in the West. The book was to prove an important source of information for the creation of gardens in the Japanese style that became widely popular across Europe and the US in the wake of huge interest in all things Japanese. 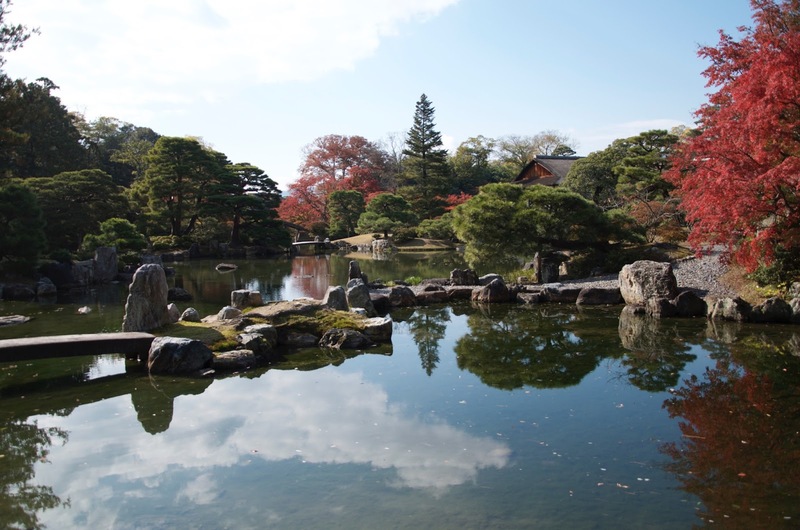 During the rise of Japan as an industrial superpower many fine gardens were created for wealthy industrialists, such as the Nomura garden in Kyoto. 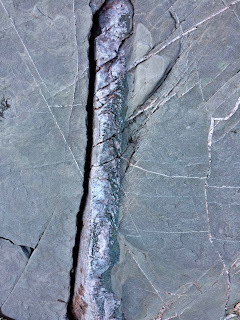 Some survive to the present day, but unfortunately are rarely accessible to the public. Many of these gardens followed on from the stroll garden concept, as garden creators both looked back to traditional values, whilst also introducing new ideas. Ogawa Jihei, Shigemori Mirei, and Nakane Kinsaku were the leading garden creators of the 20th century. It is a remarkable feature of the Japanese culture that there is an apparently seamless continuity of tradition which reveals an innate conservatism in the culture. The garden tradition had established its norms and conventions relatively early and maintained them with great consistency over the years. Young trainee gardeners today still study the Sakuteiki, and Kyoto remains a centre of garden culture in Japan. It also has the greatest concentration of historic gardens, and several temples have been designated as World Heritage sites. Shinto, the native religion of Japan.